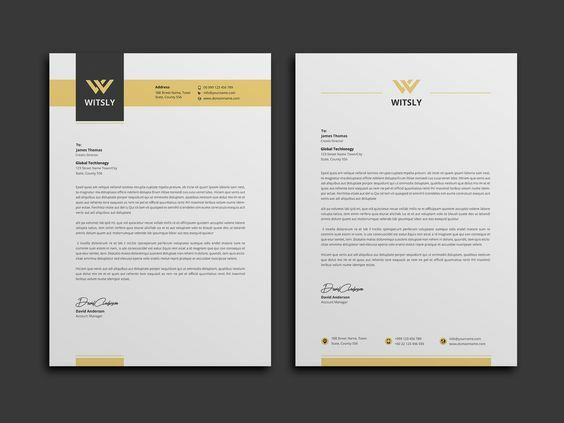 When you’re sending business letters regularly, having your own custom letterhead design is a must. 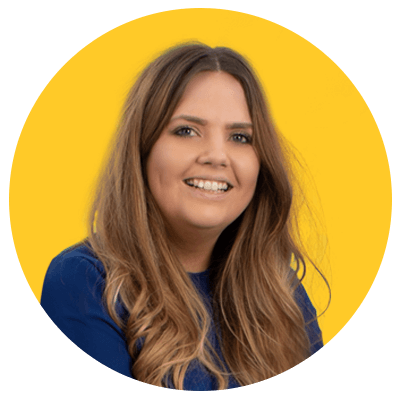 It means that when your customers open your letter, they instantly know who’s it’s from – and it reinforces your brand even more. 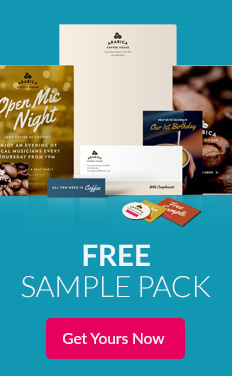 But how do you make your company headed paper unique? By creating one that makes your letter stand out from the rest of the pile! 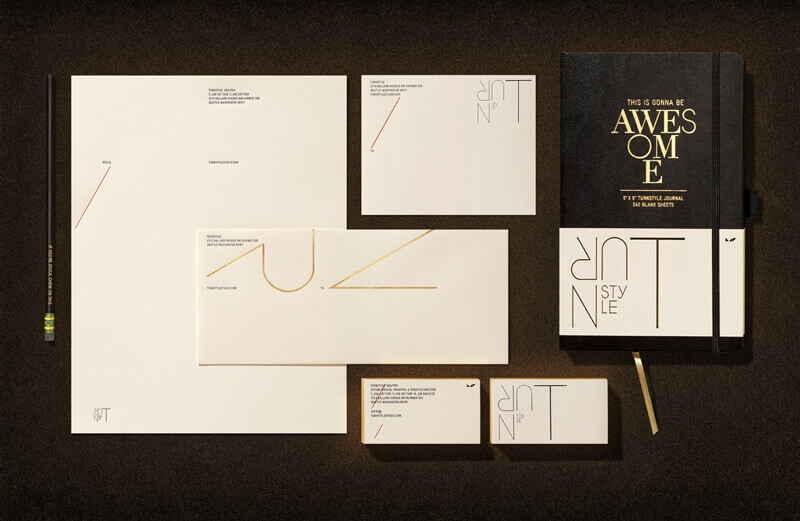 We’ve gathered our favourite examples that have incorporated a brand style perfectly to create an immediate impact when pushed through the door. 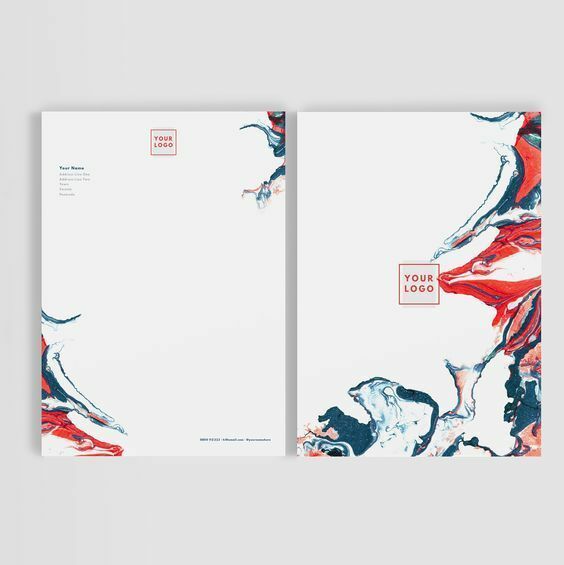 This thoroughly modern company letterhead uses some of 2019’s big colours – with Pantone’s colour of the year, Living Coral, featured in the watercolour splashes. Pops of colour are used to create a stunning design, but the main area is white, leaving plenty of room to print your letter content. This colour combination never goes out to style. 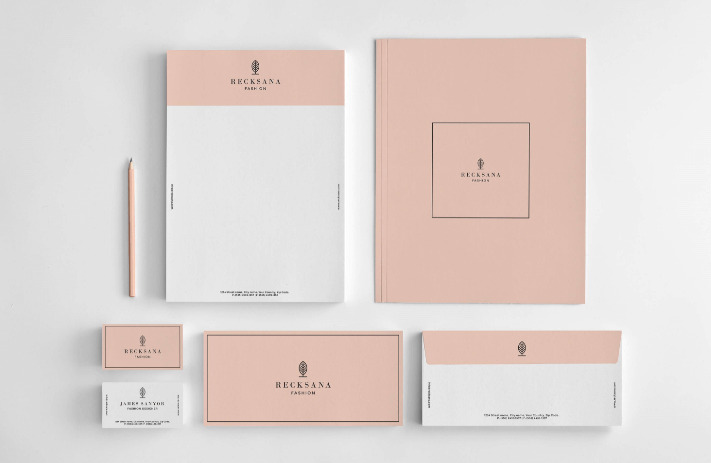 Ideal for sleek and professional branding, this business stationery set uses a simple yet effective colour palette to create cohesion. A touch of gold would suit many different types of high-end or premium brands. The mountains, sunrise and birds in this design evoke nature, which is a fantastic theme for food brands. We think the colour scheme would also suit small retail or craft businesses. Adding a tagline or slogan like “ingredients that inspire” is another way of representing your brand through your letterhead design. Using every single colour in your brand guideline can make a design busy when creating a professional letterhead. This company letterhead picks one key colour that draws attention to two key elements: the business’s logo and the subject of the letter. This design is great for formal letters where readers need to focus on key information, but it stills gets the company’s branding across. 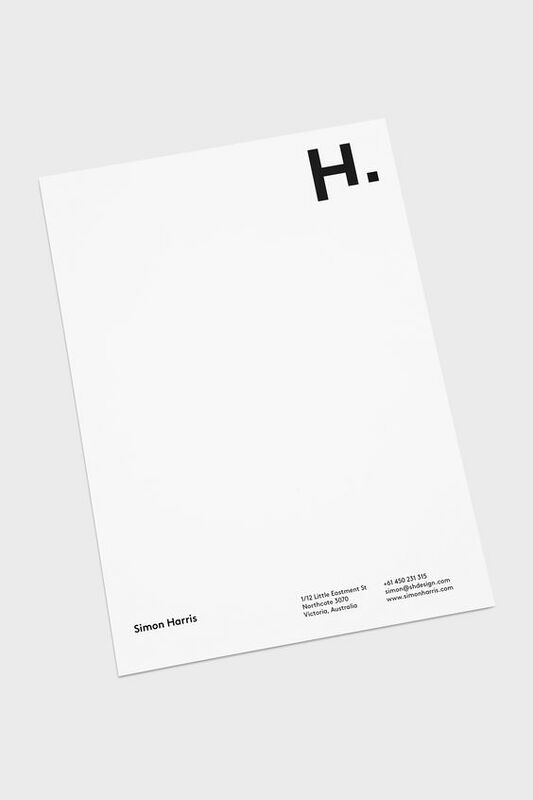 This minimalistic black and white design includes everything necessary for a letterhead – name, address, phone number, email address and website. But it still leaves plenty of room for the message. This design would be easy to pop into your printer, and print the letter content without having to worry about text overlapping with the design. We love this look for freelancers! 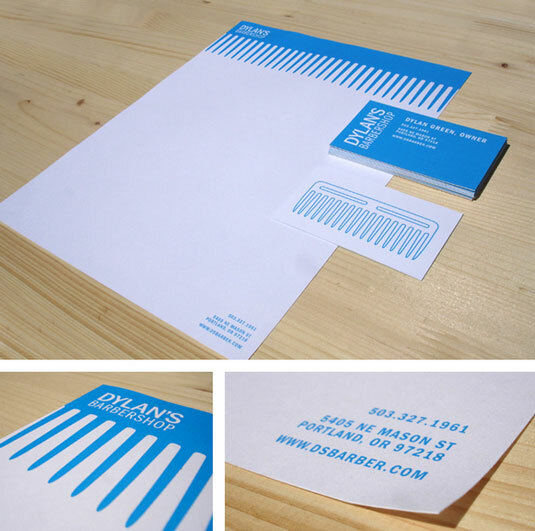 Great business stationery shows what your businesses is in a creative way. We love this barbershop set, with the fine-tooth comb acting as the head of the letter. 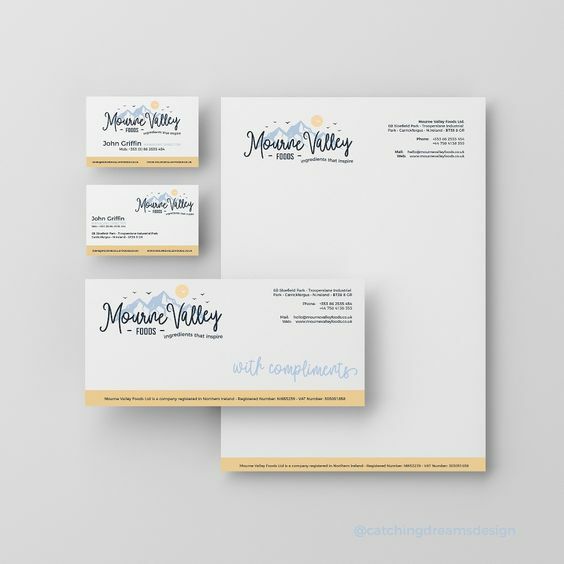 Matching your business cards to your business letters is another way of creating a seamless sense of professionalism across all communications. Similar to the red and black design, this custom letterhead takes a key colour from the logo to style the rest of the page. The header across the top lets the reader know where to find contact info, which is essential to include, and there’s plenty of room to print the main body of text. Another 2019 design trend, gradients are a fresh and modern movement away from flat colours that gives designers more flexibility to be creative. Although generally associated with bright colours, this dark gradient is subtler, making it perfect for business stationery printing. It also suits the brand’s logo, which also features a gradient effect. This custom letterhead design is centred around initials. This is a great idea for freelancers or designers who are known in the industry by their personal name. Minimalism is also a trend that just won’t stop growing – the simpler the design, the more impactful to a modern customer. 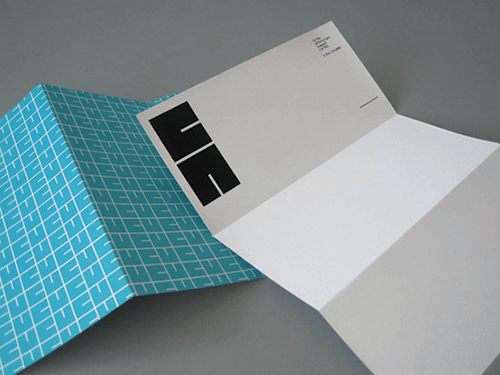 On that note, this is our favourite minimalist letterhead design. Our favourite bit has to be the block pattern that’s taken from the logo – it really stands out and can be used to create a fun, blue pattern on the back of the letter. This style would be extremely easy to use too. Just pop it into the office printer and print out your message without fuss. If you do want to use more than one of your brand colours, there are ways of doing this. 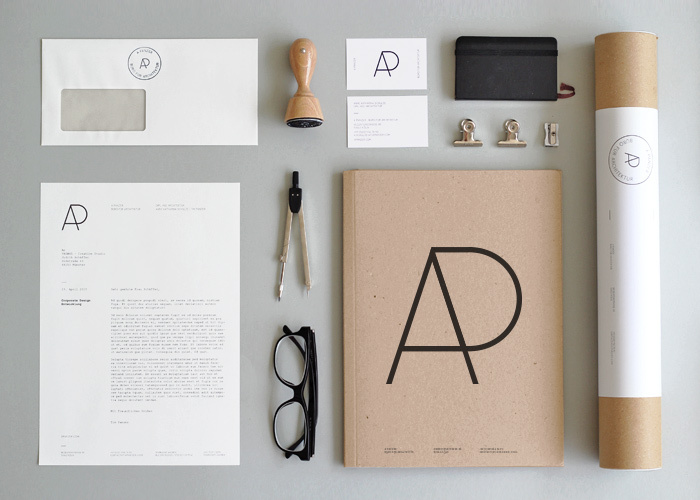 This art and design business stationery set hosts a range of letterheads in three brand colours. We love that the logo colour changes depending on which brand colour is being used. 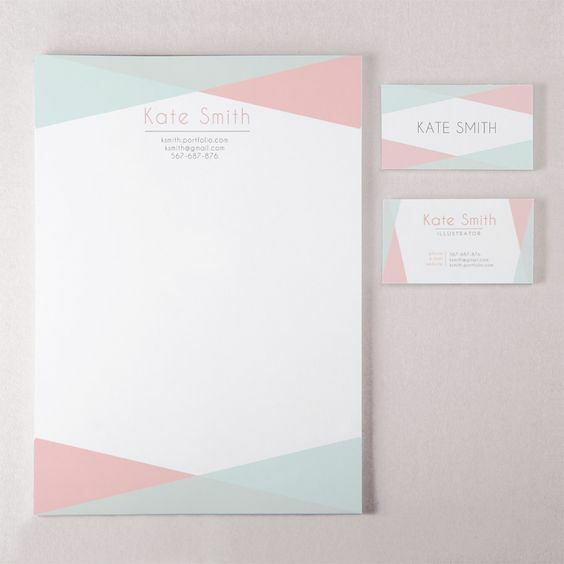 This modern and stylish colour scheme makes for a perfect retail company letterhead. The design also uses a classic skinny serif font, which is where ends of the letters are flared to represent brush strokes. Muted colours like this pink are a great option for letterheads because they’re light enough to print over. Match your compliment slips and correspondence cards to make a full set. 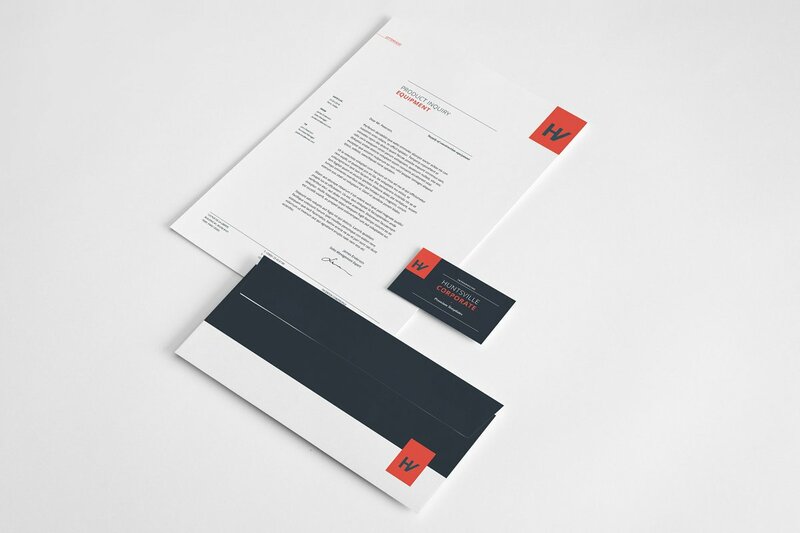 Adding two or three complementary colours can really make your letterhead design pop! We love the use of pink and blue here to create an eye-catching colour scheme. We think this style of design would best suit a crafty business, such as a jewellery maker. Find out more about creating a winning colour palette here. 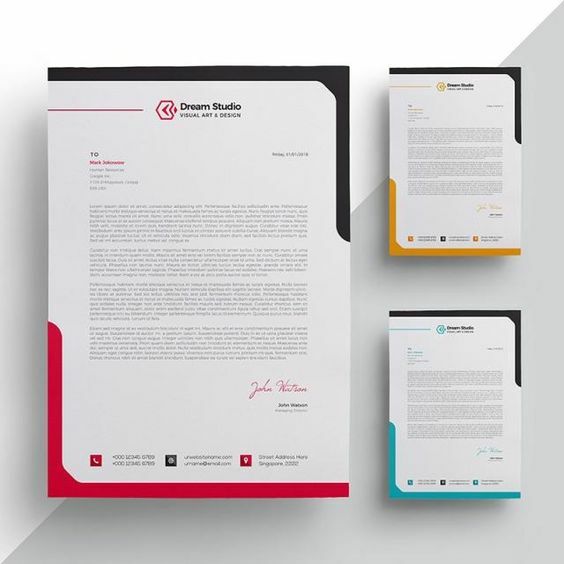 We hope these letterhead examples have inspired you to create your own stunning design! 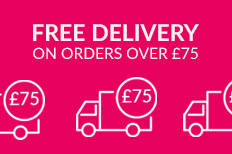 If you’re still stuck, we have plenty of free letterhead templates to choose from – just insert your contact details and you’re good to go! We’d love to see your print creations. Tag us on social media @instantprintuk or #instantprintuk for a chance to be featured on our page.